Contemporary studies on Syria assume that the country's Ba'thist regime has been effective in subduing its Islamic opposition, placing Syria at odds with the Middle East's larger trends of rising Islamic activism and the eclipse of secular ideologies as the primary source of political activism. Yet this assumption founders when confronted with the clear resurgence in Islamic militantism in the country since 2004.
Who are today's Syrian Islamic groups? Why and how are they re-emerging after 22 years of relative silence as an important socio-economic and political force? How is the Syrian state dealing with their re-emergence in light of Syria's secularism and ideologically diverse society? 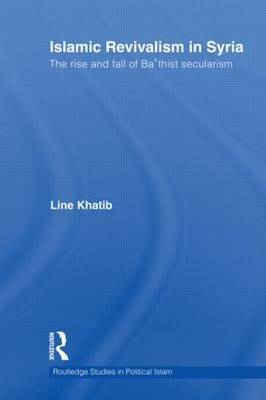 Bridging area studies, Islamic studies, and political science, this book will be an important reference for those working within the fields of Comparative Politics, Political Economy, and Middle Eastern Studies. Raymond Hinnebusch, University of St Andrews, UK. Rex Brynen, McGill University, Canada. Nikolaos van Dam, author of The Struggle for Power in Syria: Politics and Society in Syria and the Ba'th Party (Routledge).